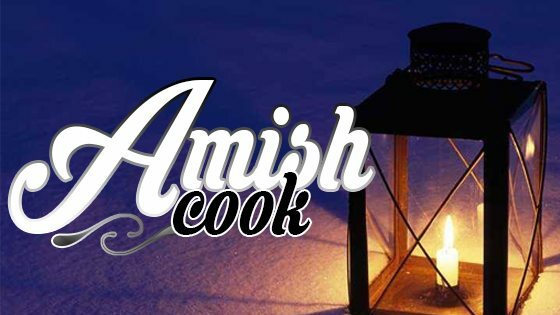 Tuesday evening as I looked around the circle of friends, both Amish and non-Amish, I wished there was a way to reach any readers who are widows and invite you to our annual Thanksgiving dinner. Really now, if any of you would be interested in participating a year from now and bring a friend with you, please let me know, and I will be in contact the next time around! It’s an evening I always enjoy; a time to simply show widows we care. This year Wanita took charge of coordinating the event. The meal consisted of ham, mashed potatoes, gravy, corn and salad, as well as pumpkin, apple and peach pies served with ice cream. I was assigned a simple job of helping with a tossed salad. All the ladies and girls from our church were invited. As we stepped into the garage where the dinner was being hosted, Julia, Rayni and I were greeted by the warmth of the Lehman’s wood stove, and the bustle of ladies putting finishing touches on the meal. Stepping over to the attractively decorated table, I greeted the ladies who were gathering for the meal. Everyone wore a smile and was super friendly, yet I knew that each one must have a story, a difficult story that brought about their circumstance of widowhood. Moving on, I helped get things organized for serving. By 5:00 the meal was ready. Wanita made some announcements and led in prayer, asking God’s blessing on the meal and fellowship. Several of us ladled food into serving bowls while others passed it. After everyone was served, I made my way to one corner of the table where a few of my friends had been seated. I enjoyed the leisurely conversation, gleaning bits of wisdom from those older than myself. Perhaps the key thought to me, was how one lady shared that she feels joy as she goes through her days, even with some extreme difficulties she’s facing. “I know it’s from God, I couldn’t be joyful on my own,” she stated. The words penetrated deep into my heart. I knew she was correct. “God can do that in deeper ways in my heart as well,” I thought to myself. Supper was followed by a song, then activities such as Bingo, an inspirational story, and more singing. The youth girls and us young married ladies stood to the side and sang five songs, including the old favorite, “The Old Rugged Cross.” There is something about singing that I love, especially the ones filled with praise to our Maker. Next came the cutest part of the evening; the 11 little girls, ranging from ages two to nine, stood to sing several songs. Julia started the first song, “Who Made the Twinkling Stars?” The others chimed in helping, as they sang in unison, using their hands to demonstrate the song. The songs that followed were “Jesus Loves Me” and “Ah Lord God.” They did very well, two of us moms helped along, including myself since Rayni, who was the youngest, wanted me to stay with her. Rayni has a natural love and talent for singing. Her sweet songs throughout the day have been a blessing to me. “Why sure, that would be great!” I replied with delight. Soon we were all piled onto our pony cart with a blanket pulled up close, to help shield us from the frigid air. After some interesting discussions, we had covered the two miles home. “Thanks, Bethany!” we called out, as she hopped off the cart at the end of our driveway to head on home to her house. Dropping the girls off in front of the house, I told them to go to the house and tell Daddy that he doesn’t have to come out to put the horse in the pasture. I’ll take care of it while he watches the babies. I returned to the house to three little boys, happy to see Mama, and a hubby I almost couldn’t wait to see again. It was an excellent ending to a delightful evening. Following is the recipe that was used for the hams at the widow supper. We used a ham without the bone, though his method will also work with the bone in. Mix all together and spread over ham. Bake at 275 for 3 hours. Slice and serve. If you’re doing a smaller ham, cut the recipe in half and decrease baking time.